The Winston Dark Cherry Twin over Twin Bunk Bed offers practical and stylish furniture design and consists of bunk bed rails and slats, ladder and guard rails for safety. 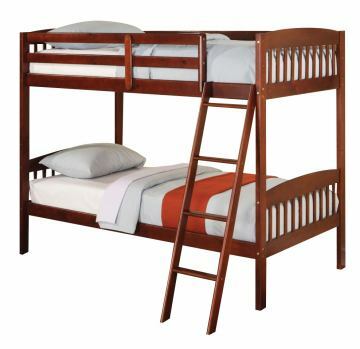 The bunk bed features arched top crown and vertical slats. 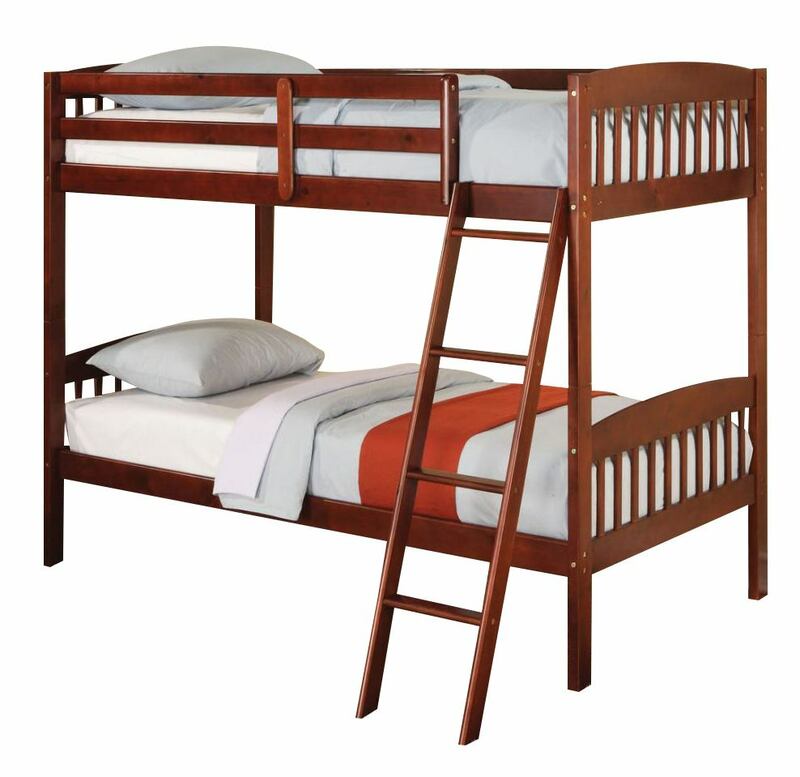 A rich cherry finish and space saving design with ladder for easy access to top bunk is perfect choice for your child's room and a solution for siblings or overnight guests.